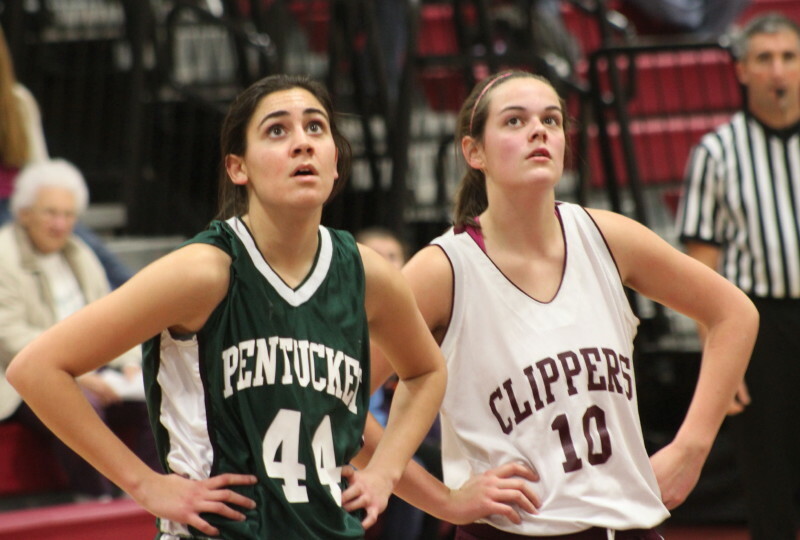 This picture was taken from under the basket, in the stands there, at Newburyport. I used my Canon EOS Rebel T1i for the indoor shot. I was in Sports Mode which set the shutter speed 1/50/ F-stop 5.0/ AWB/ ISO 1600. Nathan Hickman(10) sets up Cam Roy(4) for one of his three goals. 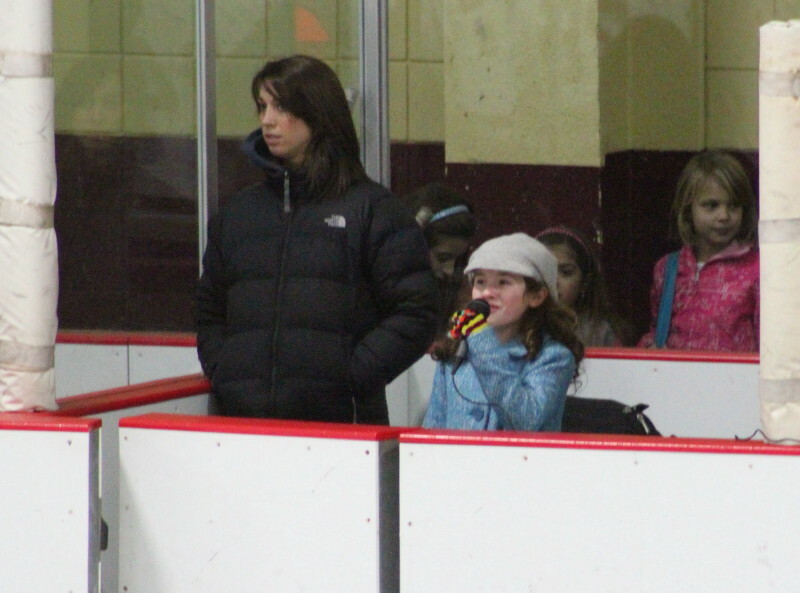 (Newburyport) I took in the Newburyport/Masco hockey game last night (Wednesday) at Graf Rink in Newburyport. 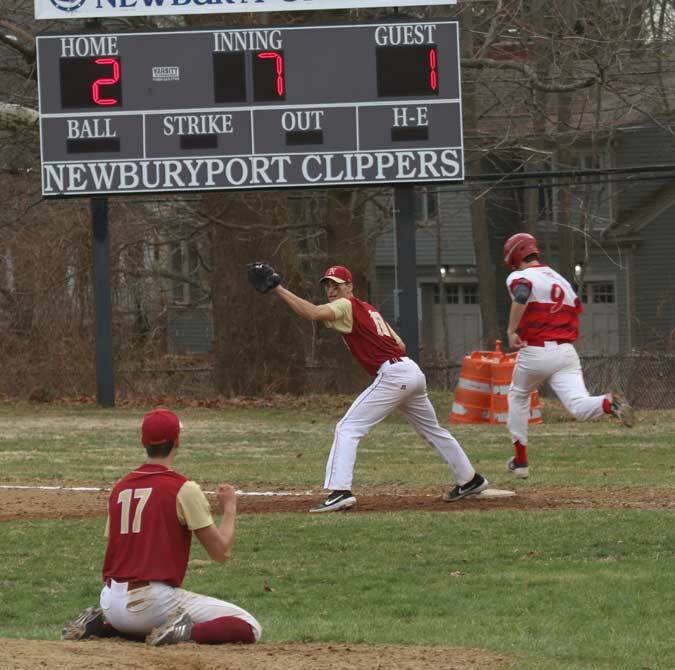 Anytime you put an undefeated team (Newburyport) against a competitive rival (only one loss) I’m interested. The Clippers prevailed, 5-3, behind Cam Roy’s hat trick. The talented junior teamed well with classmate Nathan Hickman on several of the goals. The score was tied 2-2 after two periods before Cam netted two straight. A major penalty on Masco’s Trevor Surette (hitting from behind) in the 3rd lessened Masco’s manpower and their chance to mount much of a late-game comeback. 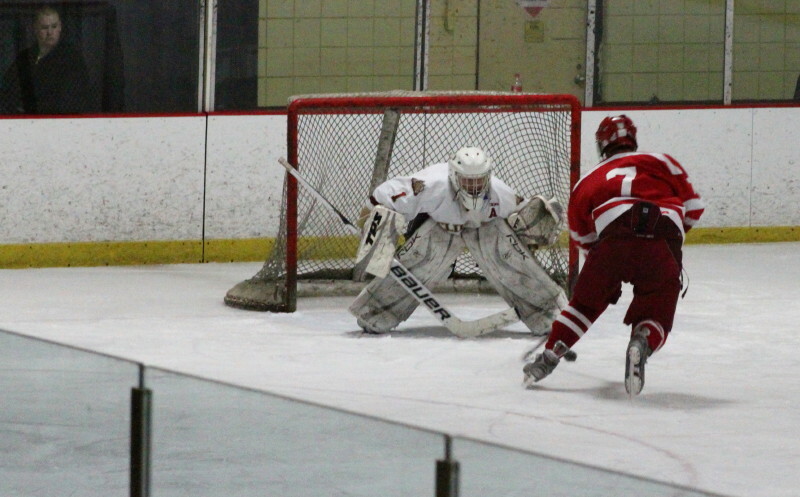 Clipper goalie Anthony Federico (26 saves) faces a point blank attempt by Masco’s Philip Russo in the first period. Newburyport goalie Anthony Federico had 26 saves and probably none was bigger than a first period in-alone attempt by Philip Russo. 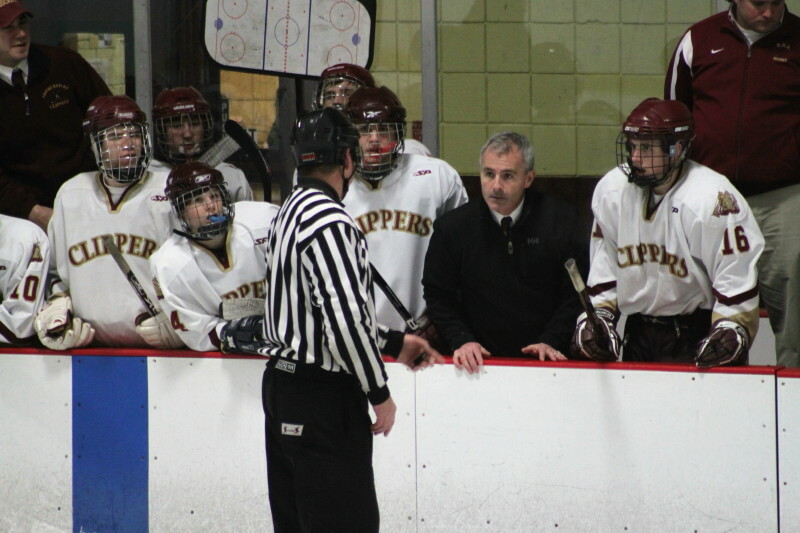 David Cusack filled in for injured Clipper captain Billy Boudreau. In the third period, David took the hit from behind and went head first into the boards after a hit by Masco’s Trevor Surette. The fill-in senior wobbled off the ice after the hit with help from his teammates. Trevor was assessed a major penalty and later exited from the penalty box to the locker room. The come-away moment from this game was the singing of the national anthem by a youngster who could hardly be seen behind the penalty box door. She nailed that song from beginning to end. Young lady nails National Anthem. The garbled sound system otherwise offered little discernable help to what was going on. When players were picking up hats I gathered that Cam Roy had gotten a hat trick. Paul Yameen wondered about the lack of a call. 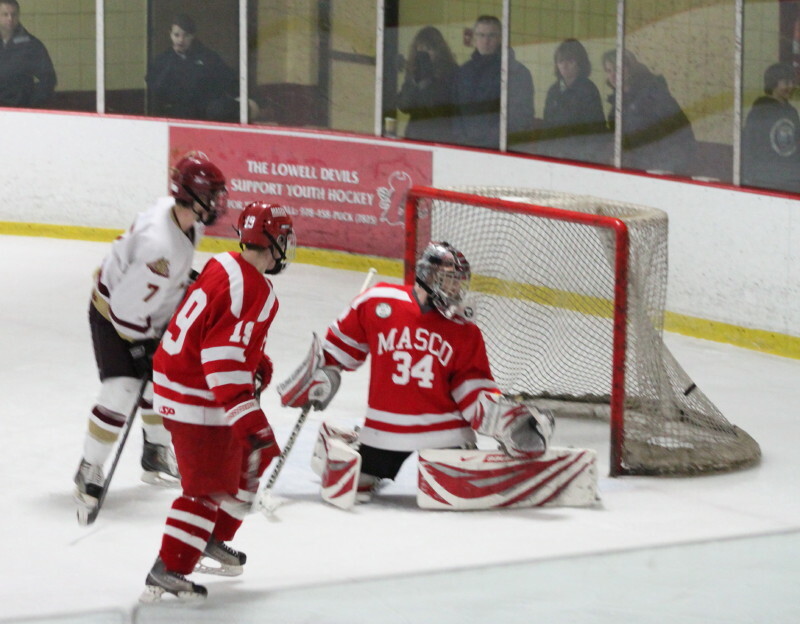 Masco’s second goal came on the power play. Actually Newburyport went down two players. The second penalty was a bench minor on door-slamming Coach Yameen. Already one man short, and missing their best defenseman (Billy Boudreau) that action could have been disastrous for Newburyport. 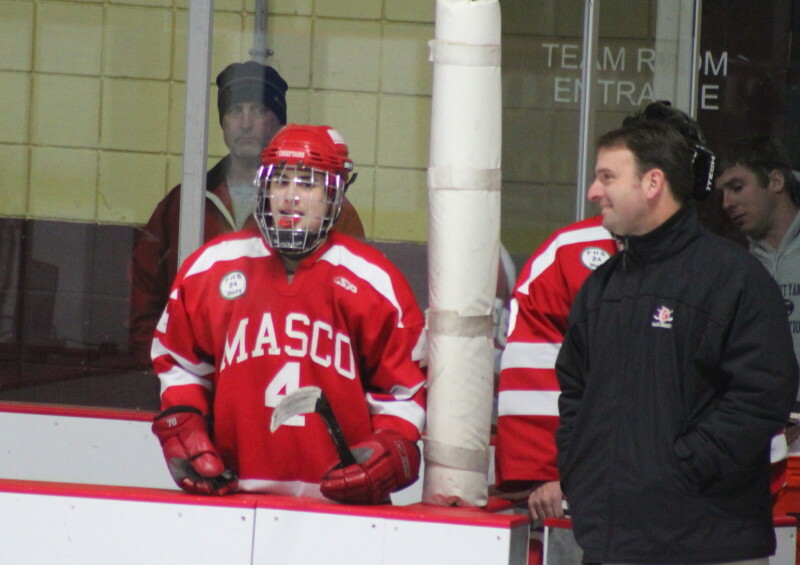 However, Masco tallied just once during the extended power play. 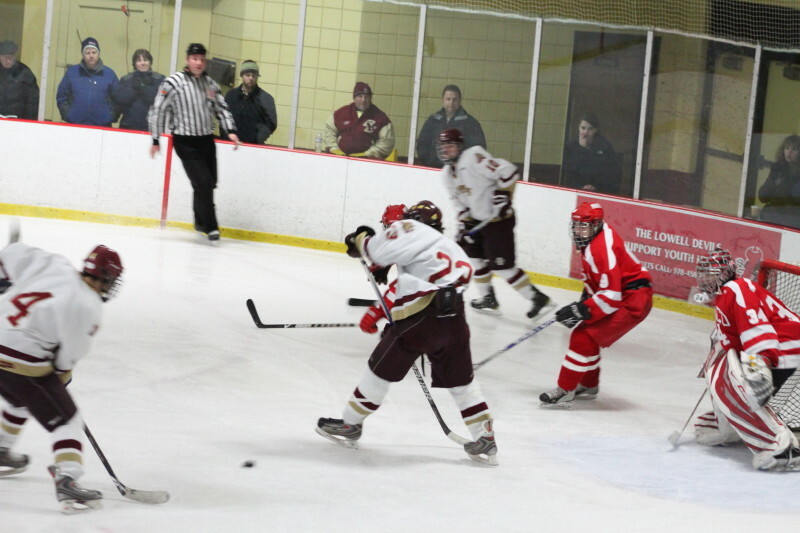 Gaven LaValley(7) gets good look at Clipper goal. Unlike last year, this year’s Clippers appear less inclined to deck the opposition and more inclined to deke the opposition. From what I saw last night, they have the skating/passing skills to make that work for them.